A branded fitness routine, CrossFit has been around for almost two decades now. Created by Greg Glassman, it has built a stellar reputation in gym circles. Combining aerobic exercise, calisthenics and weightlifting, this strength and conditioning program is a trademark of CrossFit Inc. The regime consists of intense functional movements and has been designed with the objective of helping people achieve their fitness goals. 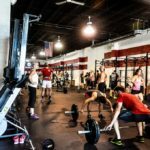 A CrossFit workout has the best elements of popular fitness routines- be it high-intensity interval training, Olympic weightlifting, powerlifting, gymnastics, or plyometrics. In CrossFit lingo, a gym is referred to as a box. Any standard box will have the familiar sound of clanging weights that will make you feel like it is nothing different than your regular gym experience. Then you will come across acronyms like “AMRAP” and “EMOM” which might seem intimidating to you at first. 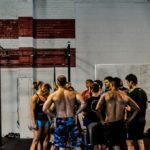 The CrossFit community has its own way of conversing which might make you feel lonely. Beginners tend to get overwhelmed as this strength and conditioning program forms a culture of its own. In quite a few of the 10,000 affiliate gyms, your first workout is offered free of cost. If you gather the courage to step in once, you will never leave. 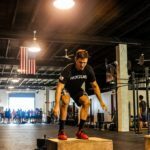 Once you become a part of the CrossFit community and have made your way through hundreds of WODs (aka workouts of the day), nothing can stand between your fitness and you. 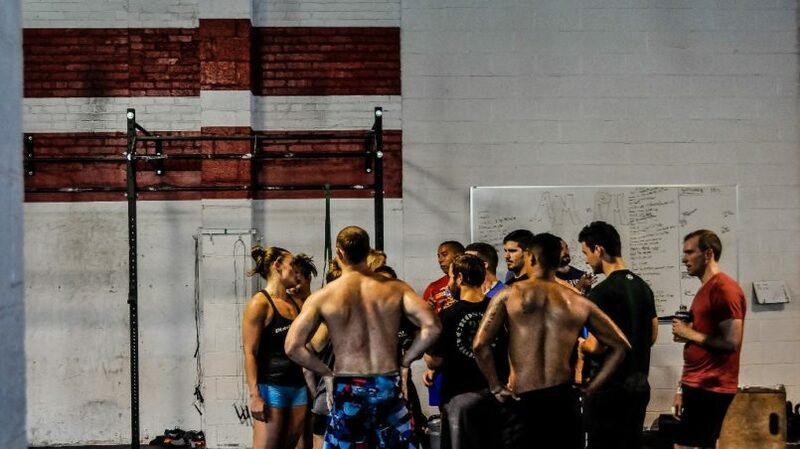 If you are looking for some expert advice before you step into the CrossFit world, read on. Each box has a separate culture and coaching pattern which means that your experience will not be the same everywhere. So, the best thing you can do would be to visit four or five different boxes before choosing the one that you want to stick to. The nearest and most convenient gym may not always be the correct choice. It is essential that you check out the workout structure in all the boxes and soak up the individual vibes before making your first payment and signing up for a package. Movies and common myths will have you believe that all boxes were dark and filled with fitness freaks working out and grunting. 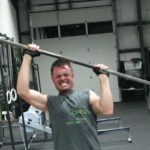 This intimidating image is enough to scare a lot of people out of their desire to commit to CrossFit. However, the reality is quite different. There is no hard and fast rule as to how the environment of a box is. You just must find the one that appeals to you. 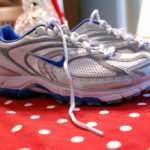 The community is essentially a group of people vying for fitness. The sheer intensity of your first workout might make you second guess your decision as it will difficult at first to keep going. But self-doubt will be your biggest hindrance on the way to fitness, so just put on a brave face and keep at it. You may have had several athletic accomplishments beforehand, but they become irrelevant when you cross into the CrossFit arena. Since the regime requires you to an all-round workout, some things will be new to you. Practice hard and be patient if you want to master the complete workout. Think of yourself as a beginner. Rx refers to the recommended weights, reps and time. However, do not follow them strictly unless you have been CrossFitting for a month or so. You can go slow and take your time to perfect your workout. Even after your foundation coursework is complete, you are free to adjust your workout according to your fitness quotient. As all the movements are scalable, you can add your own touch to the workout. You may be really experienced but do not forget the dynamic mobility warm-up before each workout as your performance for the day will vary according to your commitment to the warm-up. To do the squats and pull-ups properly, you need a good posture and firm that is dependent on the mobility of your ankle, hips and shoulders. Stretch regularly as it will lead to an improved workout session. Try to keep a training log even if it makes you feel shy about your slow progress. However, it is essential to remember that unless you can evaluate your weakness and understand your growth over the course of a week, you will find it even more difficult to progress. As a beginner, that is a must. You may not want to put up your track record on the gym whiteboard, in which case mobile fitness tracking applications will be your best friends. Whenever you feel discouraged, you can have a look at your achievements and boost up your spirit. Constant exercise of your legs and buttocks means that they will grow, and you might have to buy some new pairs of jeans! The high-intensity workouts will require you to eat more food because you will need the extra energy. Then you can burn off the calories and develop a spectacular muscle structure. Does not get better right? However, do not overeat. Even if the CrossFit regime seems difficult at first, depend on your grit and determination to get you through the first few months. After that, you will be able to accomplish more movements with ease, and that will motivate you not to give up. Never say never, everything is possible.